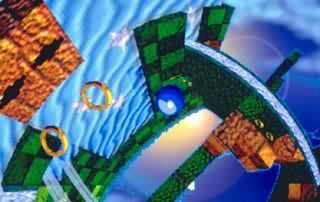 Jade Gully was a level planned for the unreleased Sonic the Hedgehog game, Sonic X-treme, fulfilling the series' tradition of having a tropical island-themed stage in the first half of the game. Jade Gully is the Sonic X-treme level which saw the most coverage in the gaming press, and likely the most attention from those working on the project. Meant to be the first level players would encounter, the art and level design was to hearken back to the classic games in the series, to ease those into the three-dimensional world of Sonic the Hedgehog. There were intended to be at least three acts, whose names would have been "Emerald Clouds," "Wolf Den" and "Bamboo Transit." A very early form of Jade Gully was playable at E3 1996. It was also used as a name for the testing stages of Project Condor. This page was last edited on 6 November 2015, at 10:15.